Nothing is foxier than a crisp, clean Metro Mite, with a hint of whimsy and a taste of sweetness. 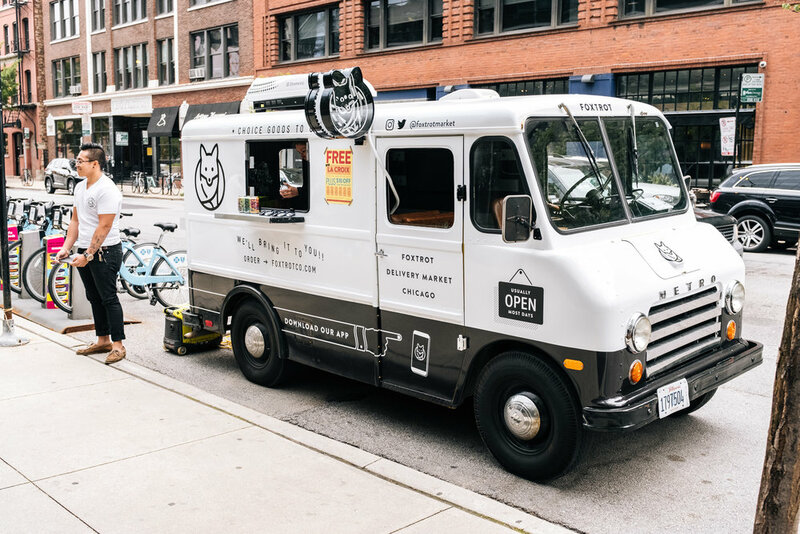 OutCold partnered with Foxtrot this summer to help bring the corner store to your front door. Foxtrot isn’t your normal convenience store. Their stores carries all your favorites, including local and regional products. From craft beer, wine and spirits to specialty ice-cream and cheeses, there’s something for everyone’s cravings. If that’s not enough to grab your attention, maybe the fact that they deliver direct to your front door will whet your appetite. 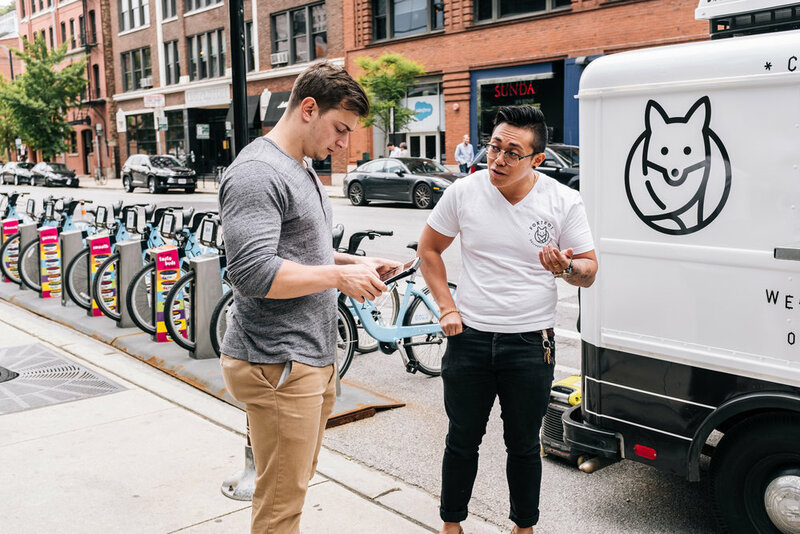 To deliver their brand messaging and drive sales, we utilized an International Metro, a field team and a hyper targeted routing schedule to reach the Chicago target. One of the best things about this campaign? 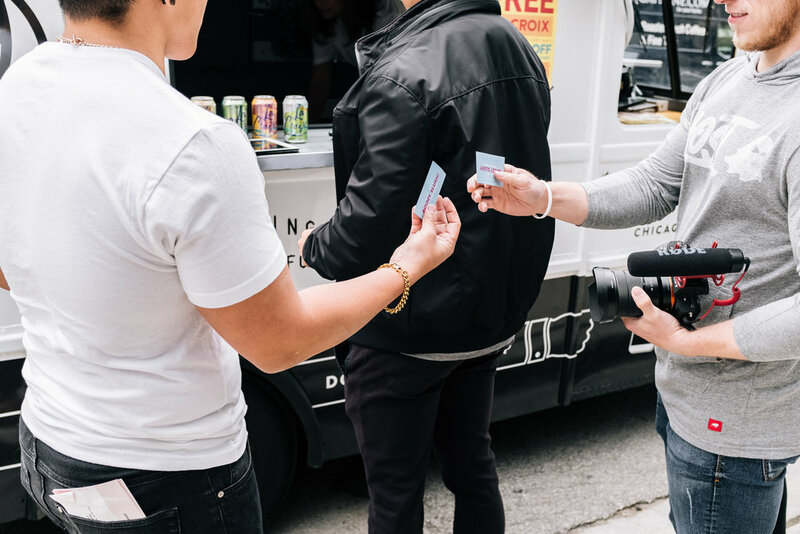 Free delicious afternoon pick-me-ups handed out all over town. Showcasing their new iPhone app, consumers were urged to sign-up using their email address, and test it out on iPads located on the vehicle, all while trying different Foxtrot products as they engaged with the tour staff. 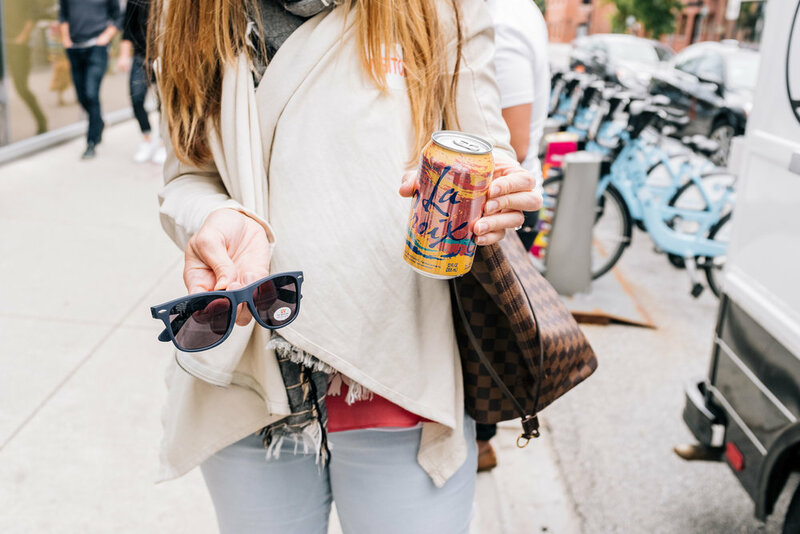 Targeting favorite local hangout spots and quirky neighborhoods to beaches, parks, festivals, famers markets and street fairs, Foxtrot and OutCold hit the all the hot spots. 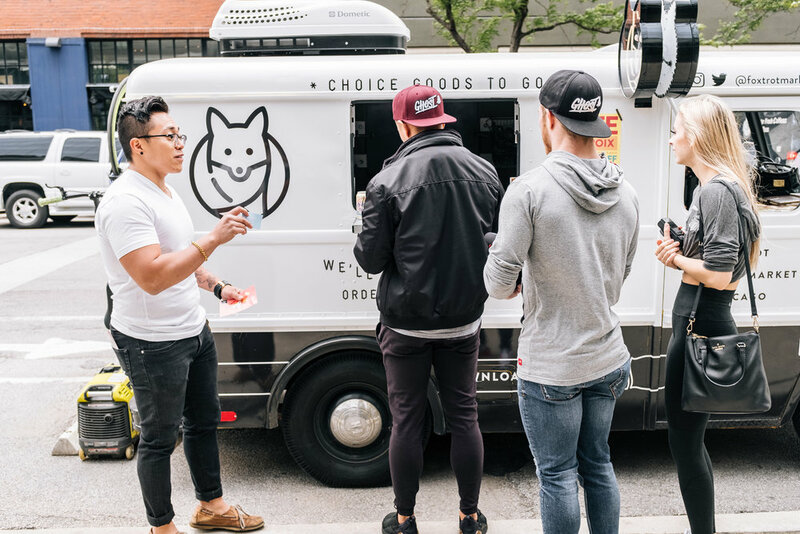 This tour was the talk of the town, sampling over 10,000 premium items, creating 4,800,000 in travel impressions and 12,000+ targeted consumer interactions. We drove both mobile downloads and retail traffic to their brick and mortar addresses. It’s no wonder why this activation created such a buzz.